Greece is a land synonymous with historical and archaeological sites of high interest, and as such is a perfect place to travel on a cultural holiday.Visiting Greece can be overwhelming if you don’t know where to start. The culture, food, annual events, and landscapes of Greece consistently draw in visitors from around the world. There are numerous historical sites to visit, but these are the top seven that will make your trip memorable. As the country was already inhabited from prehistoric times, traces of human civilization and historical remains of the ancient world can be found everywhere, in all corners of the land. 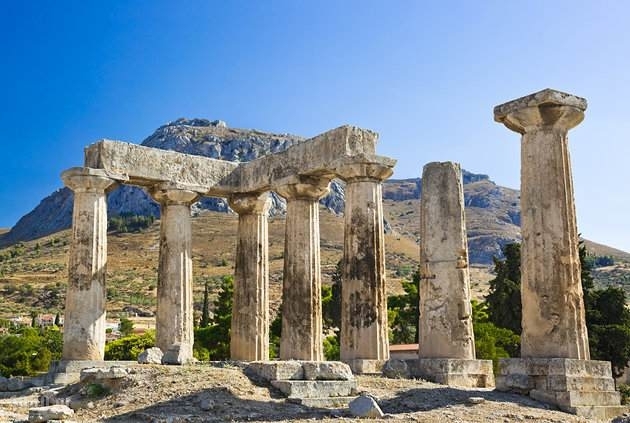 Greece offers the world over 100 outstanding archaeological sites. Theatres, public assembly buildings, great temples, public markets, portray a historical frame exceeding 5000 years. The major archaeological sites in Greece every year attract hundreds of thousands of visitors. People from all over the world come to see at close hand the origins of western civilization and to feel the power and historical vitality exuded by these sites and their histroy. Constant care is taken by archaeological services and support services, so that one has access to the whole range of information and can pleasantly enjoy the tour. From the Acropolis to Delphi, Knossos to Thebes, the Historical sites in Greece draw tourists in their hordes every year. Indeed, famed as the home of the magnificent ancient Greek civilisation, this modern nation boasts an incredible wealth of things to see. Yet, the Historical sites in Greece do not stop at the ancient Greek variety. Roman, Byzantine and medieval sites pepper both the mainland and its many islands, offering a diversity of sightseeing. Our database of sightseeing proposals is growing all the time, but we may not cover them all. The Acropolis is a UNESCO World Heritage Site and also features as one of our Top 10 tourist attractions in Greece. Today, the Acropolis is an extremely popular historical site and caters for a multitude of tourists every year. The recently opened Acropolis Museum, which lies nearby, contains an amazing array of displays and artefacts from the Acropolis itself. The Acropolis is one of the most recognisable historical sites in the world and remains an inspirational monument to the achievements of Ancient Greek civilisation. 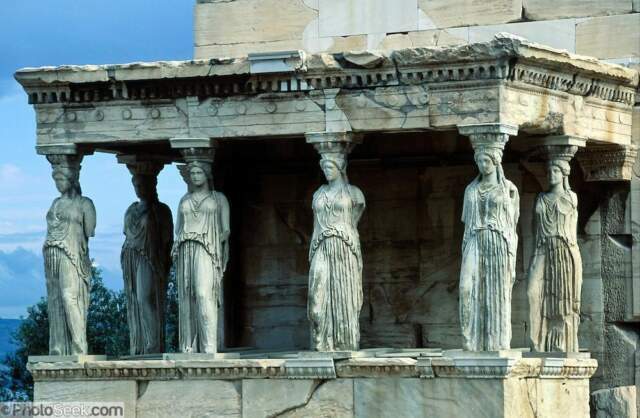 Standing tall above the Greek city of Athens, the Acropolis contains a number of buildings and monuments from Greek Antiquity, including the Parthenon, the Erechtheion, the Propylaia and the temple of Athena Nike. The Acropolis is in the centre of Athens. Take Metro Line 2 to ‘Akropoli’. 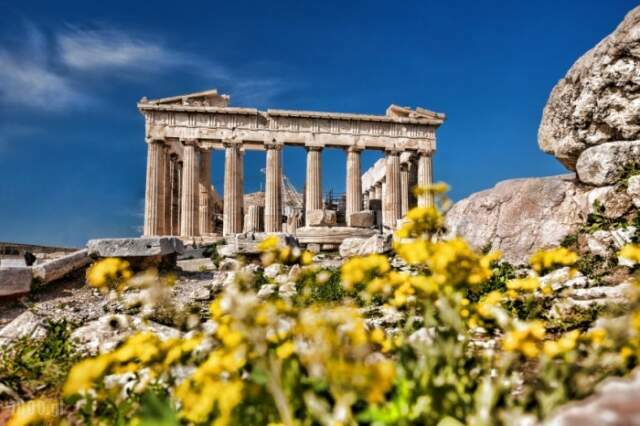 Full: €12, Reduced: €6: Valid for: Acropolis Museum, Acropolis of Athens, Ancient Agora of Athens, Archaeological Museum of Kerameikos, Kerameikos, Museum of the Ancient Agora, North slope of Acropolis, Olympieio, Roman Agora of Athens, South Slope of Acropolis. Epidaurus was a major city in Ancient Greece famed as a centre for healing. Inhabited since prehistoric times, Epidaurus thrived as a sanctuary devoted to the healing deities including Apollo, Asklepios and Hygeia and contained hundreds of spas, the remains of many of which can be seen today. The main sanctuary area, called the Asklepieion, contains two such spas where a variety of healing rituals took place, including hypnosis. This was declared a UNESCO World Heritage historical site in 1988. There is also a shrine to Asklepios and the remains of rooms for patients. Probably the most impressive of the sites at Epidaurus is the fourth century BC theatre, which was built to accommodate approximately 15,000 people and still extremely well preserved. Epidaurus was named after the hero Epidauros, son of Apollo. Inhabited since Neolithic times, the first significant settlement was in the Mycenaean period.Overall, Epidaurus is an absolutely vast, fascinating site set over three levels and offering an insight into Ancient Greek life. There is also a nearby Epidaurus Museum, exhibiting artefacts from its excavation. Knossos or ‘ko-no-so’ was an important ancient site found on the outskirts of the modern city of Heraklion in Crete. 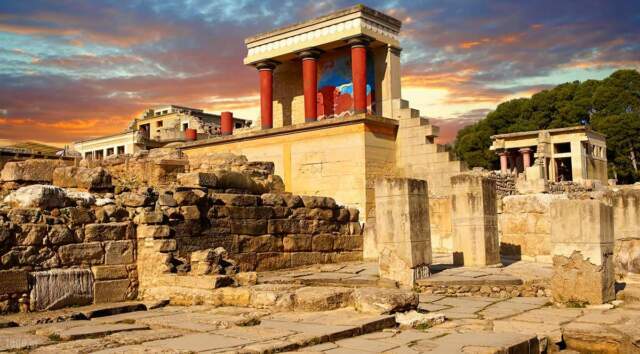 It is believed that Knossos was first established a place of settlement in Neolithic times in around 7000 BC and then continuously inhabited until the Ancient Roman period. Knossos was undeniably the capital of Minoan Crete. Knossos reached its peak in the period from the 19th to the 14th centuries BC, as the capital of the Minoan civillisation. It was at this time that the majority of its incredible buildings, the remains of which can be seen today, were constructed, although it suffered large-scale destruction sometime between 1500 and 450 BC. Arthur Evans, the British Archaeologist who excavated the site in 1900 AD restored large parts of the palace in a way that it is possible today to appreciate the grandeur and complexity of a structure that evolved over several millennia and grew to occupy about 20,000 square meters. Walking through its complex multi-storied buildings one can comprehend why the palace of Knossos was associated with the mythological labyrinth. Knossos is on the island of Crete, just south of the capital city, Heraklion along Route Knossou which leads off from route E75. Bus route 2 travels regularly from Heraklion’s Bus Stop A (near the harbour) to Knossos, the journey taking around 20 minutes and there are many organised tours to the site. 1000.gr supports the Greek culture and is dedicated to provide valuable information on carefully selected historical places to establish visitor loyality and satisfaction. Subscribe to our Newletter for more useful trips and suggestions on historical sites around Greece.